A computer desk is a point of pride for any self-respecting nerd, and all of us get a kick out of showing off our computer set-ups and the way we’ve organised all our tech. It makes us feel a bit like Bruce Wayne or Tony Stark when we swivel from monitor to monitor, or when we come up with a clever system for organising our various documents. If you want to give your smartphone its own speakers then that means either sharing them with the PC or having at least four speakers and lots of wires. A simple solution though is to take a cup or a plastic bowl and drop your phone into it. Want to go one step further? 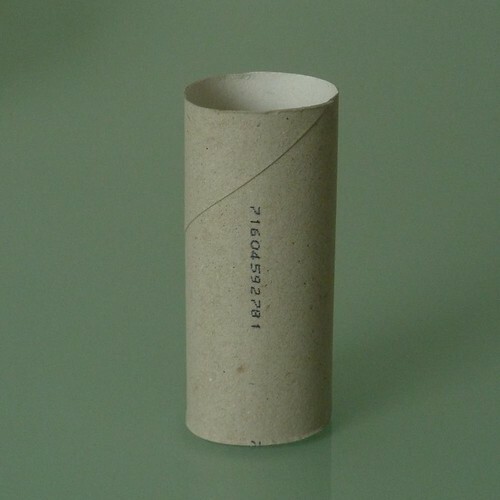 Put a toilet role over the speakers and then cut holes into two cups and use them to amplify the sound at either end. And why spend money on a stand for your phone when there are already plenty of things around the home that can do the job perfectly? 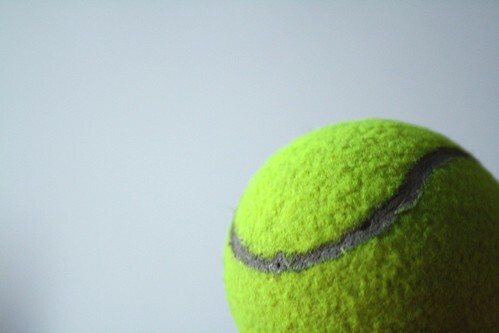 Cut a tennis ball in half and cut a slit along the top, or even just clasp the phone horizontally in a hair clip. Cassette tapes and wallets work well too, as do cards with a little bluetack. 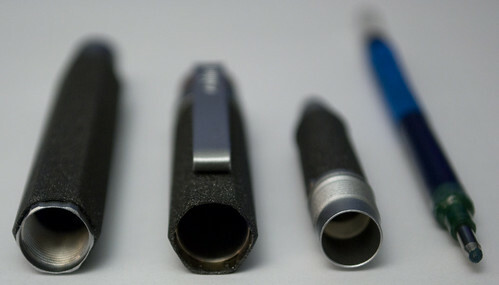 Wires that get bent and swung around a lot will quickly become damaged, so if you want to prevent that happening simply take the spring out of the inside of a biro pen and then feed the wire through that. This will prevent it from getting bent too much and as a nice bonus it will also prevent tangling. If you have a mouse, a USB hub, an external monitor, a HDMI lead for your TV, a games controller and memory pen, then your computer is going to be overrun with plugs and cables and many of these are going to need to be continuously plugged in and then removed again. This can cause them to drop onto the floor meaning you’ll spend half your time rummaging around trying to find them. The easy solution is to find some way to hold them in place when you’re not using them, and for that you can simply tape some safety pins or paper clips to the back of your desk. Now feed the wires through and they’ll be able to move freely without the heads passing through and falling on the floor. And once again this will also solve the problem of tangling. 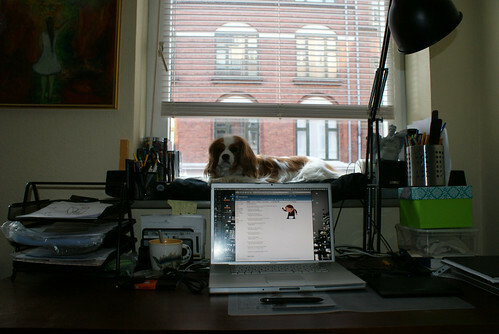 Lighting is a big problem when you work at the desk and glare can cause headaches if you don’t monitor it carefully. Blinds offer the perfect solution however by allowing some light to get in but changing the angle that it comes in at. This way you can prevent glare without being forced to work in darkness and if you get a motorised one (or better yet – use a light sensor on the monitor) then you can manage the light without ever needing to get up. Building your own computer? Want to be a show off? Then why not install some extra shelves and ventilation into your desk cupboard and turn your desk into the computer case. If you really want to show off you could even use a touchscreen as the glass for the top of the desk and use that as a second screen for manipulating your computer. This isn’t so much a hack as justâ€¦ awesome. If you have a window near you then this can make a fantastic makeshift noticeboard. As long as you use a machine-washable pen you’ll be able to rub the messages off later and because you’ll get up to open and close the window from time to time you can rest assured that you aren’t going to miss the message! This article is written by Nancy Baker, a freelance blogger who is currently writing for NY City Blinds, specialists in motorized window treatments in NYC. In her spare time, she likes to write about home dÃ©cor and improvement. You can also follow her on Twitter @Nancy Baker. 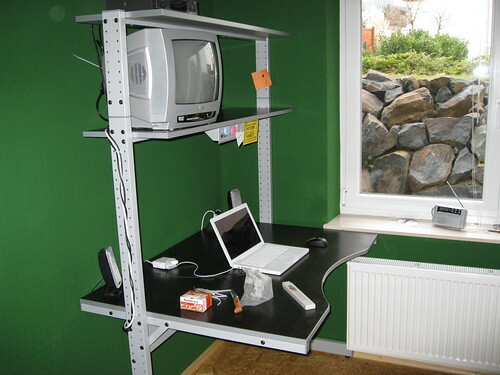 This entry was posted in Hacking, How to's, Technology and tagged Top Geeky Hacks For Your Computer Desk Area/Home Office. Bookmark the permalink.